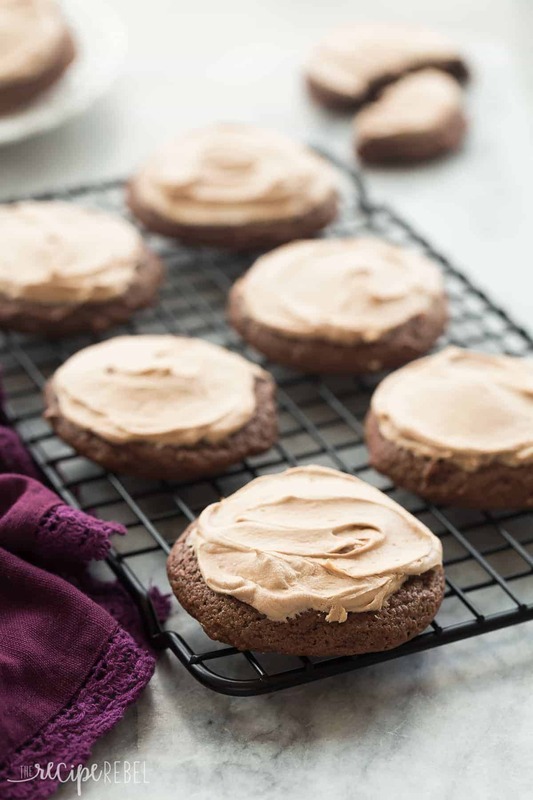 These Chocolate Sour Cream Sugar Cookies are super soft and smothered in chocolate cream cheese frosting — it’s everything a chocolate cookie should be! 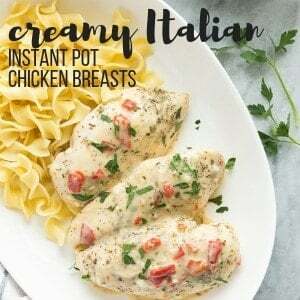 Includes a step by step recipe video. 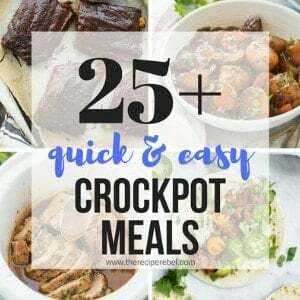 *You’ll find the giveaway on this post down below the recipe! Remember these Sour Cream Sugar Cookies and these Lemon Sour Cream Sugar Cookies? You’re not sick of cookies yet, are you? Because we’re back with one of my favorite variations yet: CHOCOLATE. The all caps are totally necessary, friends. Over the last year or two I have become a total cookie fanatic. I think the right cookie could nearly “take the cake” as my favorite dessert pick. The only problem is I can’t seem to stop at one… or two…. or…. But, hey — it’s November which means we’re in full on Christmas baking season and I won’t apologize. For this twist on my Grandma’s cookie recipe, I’m smothering these beauties in chocolate cream cheese frosting. It’s rich and tangy and it just goes so perfectly with these soft cookies. These sugar cookies are tender and cakey and they melt in your mouth — you won’t want to roll these out, because the dough is quite sticky. Resist the urge to add flour or you will probably end up with hockey pucks! I haven’t tried refrigerating the dough overnight, so I can’t say how they will turn out. I tried refrigerating for 1 hour, and I still liked them better baked right away. The cookies themselves are not overly sweet. I do this because they are a frosted cookie. If you are planning to skip the frosting, understand that your end result won’t be super sweet. 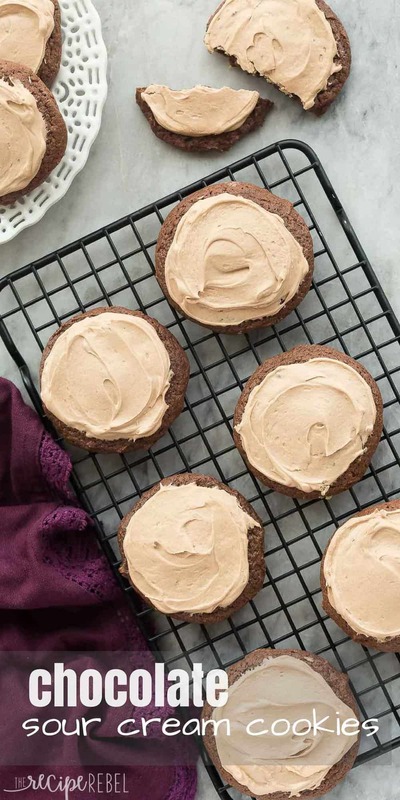 You can use a regular chocolate buttercream frosting (or vanilla, or mint, or peanut butter — the options are endless!) if you don’t want to do cream cheese. These Chocolate Sour Cream Sugar Cookies are super soft and smothered in chocolate cream cheese frosting -- it's everything a chocolate cookie should be! 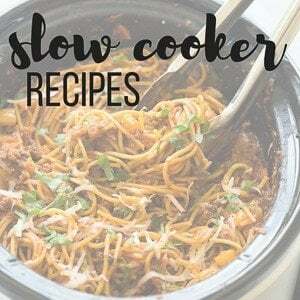 Includes a step by step recipe video. In a large bowl with an electric mixer, beat butter and sugar on high until combined. Add sour cream, eggs and vanilla, and beat until smooth. Add flour, cocoa, baking soda and baking powder and beat on low until combined -- dough will be soft, almost like thick cake batter. Do NOT add flour. Preheat oven to 350 degrees F and line baking sheets with parchment paper. 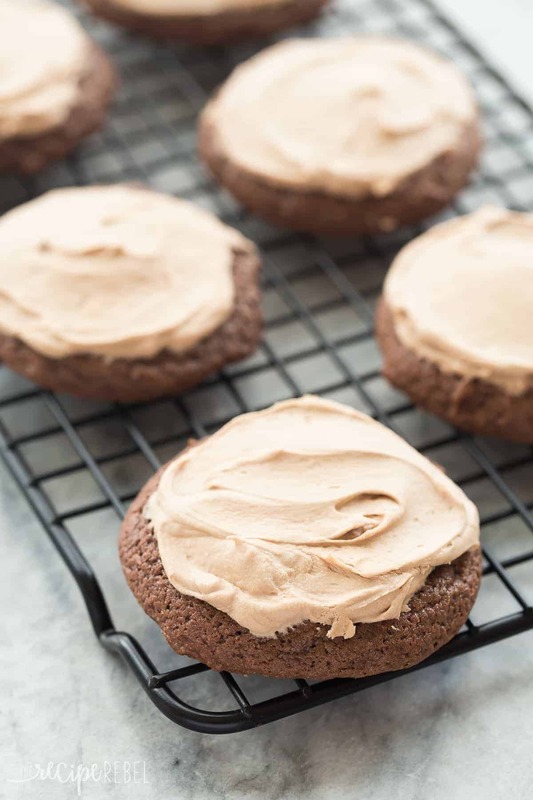 Drop by heaping tablespoonfuls (or a 2 TBSP cookie scoop) onto baking sheets 2-3 inches apart and bake for 9-11 minutes, until edges are golden and centers are set. Make the frosting:In a small microwave-safe bowl, combine chocolate and cream. Microwave on high in 10-20 second intervals, stirring well each time, until chocolate is melted. Set aside. In a large bowl, beat cream cheese and butter until smooth. Add the melted chocolate and powdered sugar and beat until smooth and creamy, 2-3 minutes. Spread over cooled cookies and serve or refrigerate to set the frosting. Store in the refrigerator for up to 4 days or in the freezer (I recommend freezing in a single layer before stacking) for up to 3 months. The giveaway is over and the prize has been delivered! Thank you to everyone who entered! Love making our crunchy, toasted pecan, chocolate chip cookies, and my grandmother’s pecan pie. Shortbread, so versatile, and gingersnaps are a couple of other seasonal favorites. 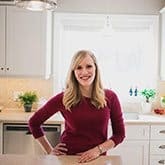 Love so many of your recipes, so thanks for sharing them on your site!! Our family favourite is a classic! The sugar cookie, made with real butter ! A little crisp on the outside and melt in your mouth goodness on the inside. No icing on the top- just a sprinkling of sugar, you can’t beat it! My favorite is Pretzels with rolos and M&M’s, super easy but you get the sweet and salty. It always reminds me of when me and my sister were younger and baking them with my mom, we would race to see who could put the most M&M’s on each batch! I am Italian and I love to buy panettone and serve it with a delicious cream made with mascarpone cheese and marsala wine! Love baking sugar cookies and decorating them with the kids! My favourite holiday treat to make is my mom’s Nainaimo Bars! So good!! I love making my grandpas bon bon cookies!! My favourite things to bake are Chocolate Shortbread. Yum.my!! My cheeseball, the kids ask for this before anything else! My cheese ball is everyone’s favorite, the kids always ask for this before anything else! I’m a huge fan of pie. Super fun to make, and even more fun to eat! Apple pie, pumpkin pie, and chocolate chip cookies!! ? I like to make a whole variety of shortbread cookies…yum! Jam jams shaped like wreaths. I use a donut hole cutter with 1/2 the cookies. Then I spread homemade raspberry jam on a whole cookie and top with the cookie that has the donut hole cut out. The jam is visible thru the center. Nanaimo bars are a must for Christmas baking for our family.